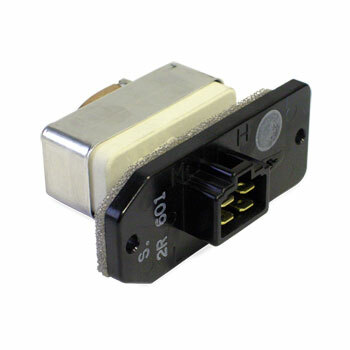 If you find that the heater in your truck only works on high or low, chances are good that it needs a new blower motor resistor. A common cause of resistors failing is a blower motor pulling too many amps. This is due to the blower motor slowly failing and taking the resistor with it. Check the motor first before ordering a resistor as the problem will just repeat itself. Replacing the resistor in your '03-'09 Ram truck is an easy do-it-yourself project that can be completed in less than fifteen minutes. The resistor is located behind the glovebox.